Despite significant improvement in the knowledge on anatomy and physiology of the anorectal malformations and major developments in the surgical techniques used to repair these defects, the care of these patients remains challenging. Following successful neonatal repair, the bowel function outcome in patients with mild defects is very similar to that of healthy children. On the other hand, many patients with more severe defects suffer from deficient bowel control that may extend to adulthood. More than half of the patients with anorectal malformations have associated anomalies that commonly affect the overall management and quality of life of these patients. 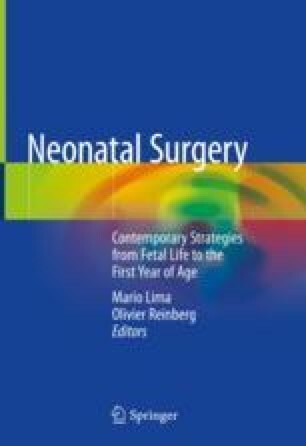 This chapter concentrates on the diagnostic features of anorectal malformations, neonatal management, modalities of repair and post-operative management during infancy.